Trafalgar Square stands for solidarity. Hundreds of people joined hands, held a two-minute silence and sang the New Zealand national anthem in London to pay tribute to the victims of the Christchurch terror attack. The also listened as the Muslim call to prayer was played, in recognition of the 50 Muslims who were gunned down by the Australian terrorist last week. 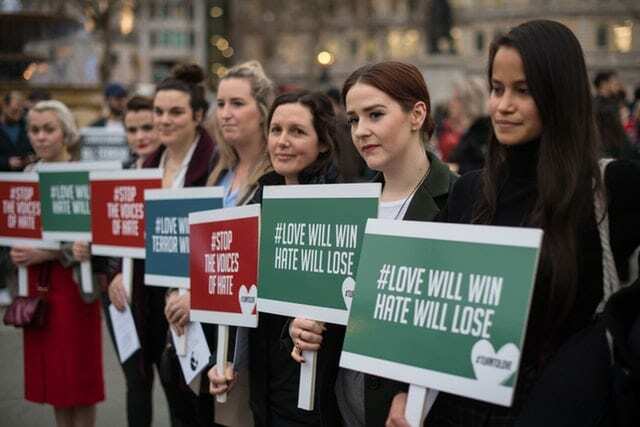 The Stand For Solidarity With New Zealand Peace vigil, organised by Kiwi Community London, a community for New Zealanders in London, was held in Trafalgar Square, on Thursday evening. Members of the public, families of victims, Muslims, New Zealand expats all gathered to remember the 50 people who died in the attack on two mosques a week ago.